– The Packers topped the Giants, 23-16, on Sunday night at Lambeau Field to improve to 3-1 on the season. 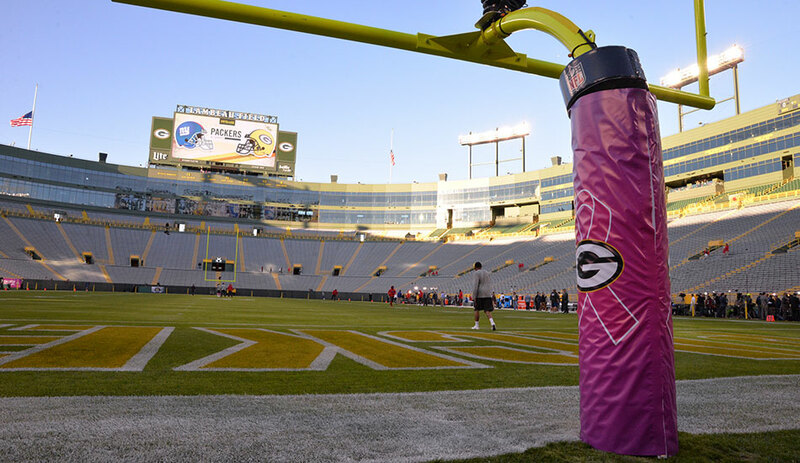 Green Bay has won eight of its last nine Sunday night games played at home. – The Packers allowed 43 yards rushing on 15 carries (2.9 avg. ), bringing their four-game total to 171 rushing yards allowed on 86 attempts (1.99 avg.). According to the Elias Sports Bureau, that is the second-fewest rushing yards allowed by a team through four games since the NFL began compiling individual stats in 1933, trailing only San Francisco’s mark of 157 yards allowed on 74 carries (2.12 avg.) in the first four games in 1995. – Green Bay has won 11 consecutive home games during the month of October, the second-longest home winning streak in October in team history behind only a 16-game streak from 1928-32. – The Packers improved to 9-2 under Head Coach Mike McCarthy in the game immediately following the bye. Green Bay has won 16 of its last 21 in the game right after the bye. – Green Bay led 7-0 at the end of the first quarter. The Packers have outscored their opponents, 179-19, in the first quarter in the last 17 regular-season games at Lambeau Field. – The Packers posted season bests for total yards (406), rushing yards (147), first downs (23), sacks allowed (zero) and time of possession (36:38). – Green Bay will stay at home next week to take on another NFC East foe when the Dallas Cowboys visit Lambeau Field for a 3:25 p.m. contest. Including playoffs, this marks the fourth straight season that the teams have met (2013-16). – Tonight’s paid attendance was 78,401, the 320th consecutive regular-season sellout at Lambeau Field. – QB Aaron Rodgers’ 2-yard TD pass to WR Jordy Nelson in the first quarter was the 50th between the duo in the regular season, the second most in team history behind only QB Brett Favre and WR Antonio Freeman (57 TD passes). – Nelson has had at least one TD reception in each of the first four games this season, becoming the first Packer to do so since WR Bill Schroeder in 2001. Nelson’s five TD catches in the first four games are tied for the fourth most in franchise history, trailing only Don Hutson (seven in 1942, six in 1945) and Bob Mann (six in 1951). – RB Eddie Lacy’s 31-yard run in the second quarter was his longest rush of the season. Lacy’s 77 rushing yards in the first half were the second most in his career in a first half behind only his 84 yards at Tampa Bay on Dec. 21, 2014. – WR Randall Cobb posted season highs in receptions (nine) and receiving yards (108), with six of the catches going for first downs. It was the 12th 100-yard receiving game of his career. – LB Clay Matthews went over the 70-sack mark for his career, with his third-quarter sack of QB Eli Manning giving him 70.5 sacks as a pro. That is No. 2 in team history behind only DE Kabeer Gbaja-Biamila (74.5). Matthews has posted a sack in all three games he has played in this season. – LB Nick Perry’s third-quarter sack gave him a team-high 4.5 for the season, a career best (previous high of four in 2013). Perry has registered a half-sack or more in four straight games, the longest streak of his career. – DB Micah Hyde posted a 6-yard sack of WR Odell Beckham in the third quarter, giving Hyde a sack in all four of his seasons (2013-16). He is the only defensive back in team history (since 1982) to register a sack in each of his first four seasons in the NFL. – LB Kyler Fackrell’s forced fumble in the second quarter on a sack of Manning was the first of his career. Fackrell has posted a sack in back-to-back games. – DT Kenny Clark’s recovery of the fumble by Manning on Fackrell’s sack was the first of Clark’s career.